The Center for Immunology and Microbial Infection (CIMI-Paris) is a research unit of Inserm – Institut National de Santé et de Recherche Médicale (French National Institutes of Health). At CIMI-Paris and within the EAVI2020 program Behazine Combadière (Director of research, Inserm), Vincent Vieillard (Director of research, CNRS) and Patrice Debré (Professor, Pitié-Salpêtrière Hospital) will be looking at mechanism of immunogenicity and biomarkers of vaccine efficacy to accelerate identification of novel HIV vaccine candidates. 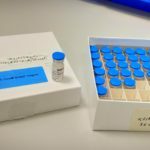 The Immunity and vaccination Lab is trying to improve current methods of vaccination against infectious diseases. 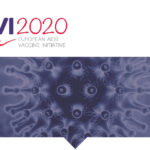 Previous to EAVI2020, Behazine Combadiere coordinated the CUT’HIVAC consortium, highly involved in the field of HIV vaccination in FP7, which lead to the implantation of 4 HIV vaccine clinical trials in collaboration with ICL (UK), Irsicaixa (Spain) and Impacta (Perou). We have a special interest in modulating innate immunity to shape the right quality of adaptive immunity by studying different vaccine formulations, adjuvants and routes of administration. The major achievement of the team is the development of skin vaccination methods from bench to clinical development (Trancutaneous vaccination, J Invest Derm 2006, J. Immunol. 2008, PlosOne 2010) as well as the study of early innate inflammatory processes (J Immunol cutting edge 2012, Immunity 2012, Nat Com 2015). To improve vaccination strategies, we seek to understand all the cellular and molecular mechanisms involved in the immune response to vaccines, adjuvants and against viral infections (J Exp. Med. 2004, J. Clin. Invest. 2010, J Immunol 2013 J. Clin. Invest. 2014). Our project integrates basic research, and the transfer of knowledge to clinical trials in humans. Our participation in EAVI2020 is to dissect by systems biology approaches, early biomarkers of vaccine efficacy against HIV in humans. Dissection of early innate cellular and molecular biomarkers will help in prediction of vaccine efficacy and amelioration of vaccination strategies for a safe and efficient HIV vaccine. In the last decade, the NK cells and pathologies lab has developed a new vaccine strategy based on a highly specific and conserved motif of the gp41 HIV-1 protein, called 3S (Proc Natl Acad USA 2005). This motif induces the expression of NKp44L, the cellular ligand of an activating NK receptor (NKp44) (Blood 2013), rendering CD4+ T cells sensitive to NK lysis. NKp44L expression is strongly correlated with both the decline of CD4 cell count, and other side effects (OncoTarget 2016). A 3S vaccine strategy was tested in SHIV-infected macaques (Proc Natl Acad USA 2008, Vaccine 2012), and still in progress in clinical trials. More recently, we generated an adapted-3S peptide, called W614A-3S, able to elicit neutralizing antibodies in different animal models (Clin Infect Dis 2013, Personal data). Our participation in EAVI2020 is to test different vaccine formulations, based on the W614A-3S peptide, to favor the highest level of broadly neutralizing activity. The ultimate goal is to obtain an in vivo proof-of-concept in a non-human primate model of HIV infection, before starting a first-in-human study.